It’s been somewhat boring — in a good way — around here lately, leaving me plenty of time for literary endeavors. Well, literary endeavors excluding updating my blog, which has been a bit abandoned lately. I’m giving my brain as much rest as possible this week. Next week, I’ll be spending 7 straight days scoring Advanced Placement English exams. Yep, hand written — in pencil — high school essays. My brain needs to get ready. In the meantime, I’ve found the perfect unwinding volunteer work. Last year, our campus opened a new student learning commons, which meant moving every single library book on campus. This year, we’ve expanded to two locations — one in Greenbelt, Maryland and one in Northern Virginia — since we acquired the academic programs of another Bible college. That college used all Dewey decimal system, and our library uses the Library of Congress system, so all the books from Maryland and Virginia have been shipped to our campus to be recataloged. I’ve helped out a few afternoons by stamping our name on the edges of the pages, putting on bookplates, and new barcodes. I haven’t advanced my skills to putting on spine labels or cataloging the books yet. However, after a hectic semester of making decisions and racing to keep up, I find the repetitive stamping of the books very therapeutic — dare I say even slightly addictive. I do give mass kudos though to our library staff since my volunteer work of stamping is I’m sure far less stressful than their task of making sure all the books are correctly processed and shipped out to their new homes before deadline. I’ve also found time to read, read, read. Ah…the beauty of summer. So, I’ve got a few summer book shout-outs. I had to slide some Agatha Christie into the rotation. According to my recent book sale find gem…. 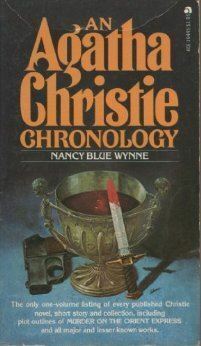 the novel The Murder of Roger Ackroyd is what propelled Christie to fame after it became an “overnight sensation.” It’s not much fun to review mystery novels because if I say too much, I ruin it. You’ll never guess who did it, so go read it. That’s about all I can tell you. I also snagged Now What Do I Do? 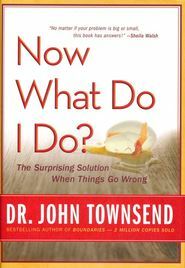 : The Surprising Solution When Things Go Wrong by John Townsend at the book sale. In the book, he gives 7 steps that should guide what a person does when they face a problem — loss of a job, unhappy marriage, no marriage, rebellious kids…fill in the blank. The book is a ridiculously quick and easy read, and for me, it was an encouraging read. The past year and a half hasn’t been easy for me as I try to figure out what my 30s should look like. However, the encouraging part of the book is that I could put checkmarks or at least half check marks next to most of the steps that he outlines to face problems in a healthy way and to move forward. I underlined some helpful insights to bear in mind as I continue to move forward, but it also reminded me to be grateful to God for keeping me on a fairly steady path — often in spite of myself since I’ve gone through some pretty cranky hissy fits directed towards God over the past year and a half. And, since good community and wise counsel is part of staying the course, I was also reminded to be thankful for the network of people that were in my life to pad the fall when the bottom dropped out of my dreams. And, finally, in a nearly unprecedented move, I read another book sale book almost immediately after buying it instead of having it land in a que behind hundreds of other books. The Other Wes Moore has been on my book wish list for over a year, so I scooped it up. To use cliched review language, the book was riveting. Wes Moore and, uh, Wes Moore, both started life in Baltimore. Wes Moore, the author, traveled a rough road, but eventually became a Rhodes Scholar and a successful professional. He couldn’t make himself ignore though that another man with his same name from his same hometown wound up getting sentenced to prison for life after being involved in a robbery where a police officer was murdered. 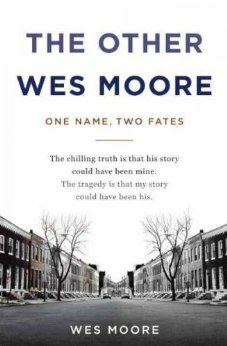 Moore interviewed the other Wes Moore and his friends and family. The book is a juxtaposition about how the two boys were affected by not having fathers to raise them, by the ways their mothers did (or didn’t) intervene in their schooling, by the pull and resistance of the drug culture around them, and by their ultimate decisions. The book was masterfully written and gave thought provoking insight into the value of mentoring, parenting and social capital within urban inner cities. This was a one-more-chapter book. I think I told myself that I’d only read “one more chapter” two or three times this afternoon — until I reached the end of the book. If any of my local friends want me to pass this one along to them, let me know. I don’t want it to languish on my bookshelf. Finally, I discovered a charming British TV series from the 1970s to provide some background noise while I was organizing my Kindle. Free Kindle books are great. Letting several hundred free Kindle books indiscriminately download to a Kindle is not a great idea. It took several hours to sort them out. But I found the televised version of James Herriot’s All Creatures Great and Small, and I’m enjoying it to the full extent of my nerdish delight. It’s much like the books, warm, homey, quaint, and amusing. I’ve found myself laughing at nearly every episode. If I have kiddos after they’re done watching an exhaustive collection of Little House on the Prairie and Anne of Green Gables, I’ll let them move onto this series. This entry was posted in what I'm reading, what I'm watching and tagged gratitude, reading, social justice, spiritual. Bookmark the permalink. Always good to meet another Christie fan! I don’t think I’ve read Endless Love yet. I’m trying to read them all in order (except for the one that I got to before devising my plan and except for the Tommy and Tuppence books because somebody told me it’s best to read them back to back). True confessions: once I’m done with one of the books, I like to watch both versions of the BBC film version if they are available on Netflix.